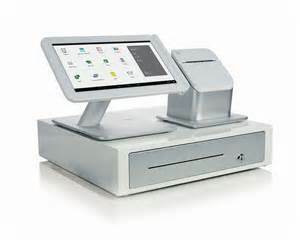 Clover is an all-in-one solution with customized hardware designed specifically for point of sale (POS). With beauty and brains, Clover offers software that will grow with your business. Clover comes installed with lots of essential tools customizable for your specific needs with an array of applications. It replaces your cash register, payment terminal, receipt printer, cash draw, and barcode scanner. Create and view your main items, change them anytime. Keep a list of your customers including order history. Run key reports with either application anytime, anywhere! Full service restaurants can assign tables to servers, manage table ordering, printing and paying. Retailers can track inventory, manage purchase orders and view costs and quantities on hand. Clover comes equipped with the basics, you may want something more tailored to your needs, that’s when you check out the Clover App Market, it’s the heart and soul of Clover. The Clover app Market contains apps built by Clover as well as external developers. Keeping the platform open means the number of applications available grows quickly and we can offer features from the broad (2-click QuickBooks integration!) to the specialized. Call or contact us for more information and a demo.